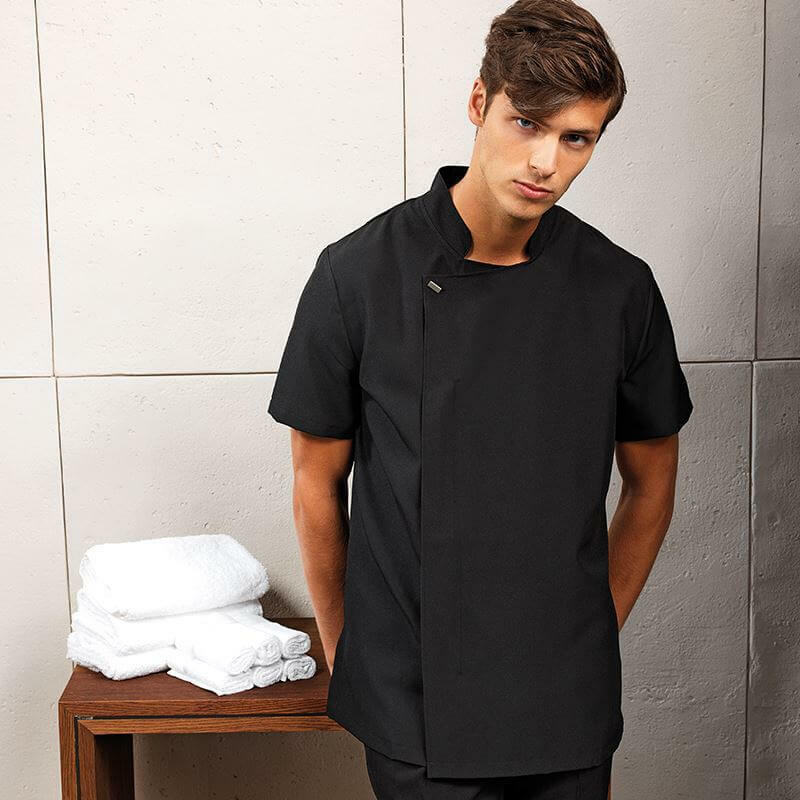 With access to some of the UK’s largest selection of salon wear, we can provide you with almost any combination of spa uniforms and beauty tunics you need. We place quality at the heart of everything we do, so you can be sure that our salon wear will show your staff at their very best. Spa uniforms are a key component of your staff’s appearance. In an environment where clients are spending money for an hour or even a day of pampering treatment by beauticians or therapists, it’s important that their beauty tunics complement the surroundings, and meet the expectations of their clientele. Spa & beauty uniforms must be easy to wear and to keep clean, as well as being made from material that doesn’t easily crumple or look un-ironed. Staff will commonly spend an extended period of time in their beauty uniforms, and may see a large number of clients. It’s important that their salon wear looks as smart and clean for their final customer as it did for their first. We work hard with our suppliers to ensure that the beauty uniforms we offer you can withstand these daily pressures without any hassle on your part. All of our spa tunics and beauty uniforms are elegant and flattering, yet practical for the hard-working therapist. We offer a wide range of styles in multiple colours to suit every taste and shape. All uniforms are made from premium, durable material that washes well and stays looking new for longer. With our in-house embroidery service, you can also choose to customise your spa uniform with a company logo or name. To see how Corprotex can help with your salon wear and spa uniform requirements, just contact one of our friendly and knowledgeable team today on either sales@corprotex.co.uk or by phoning 0161 233 2226. We’d love to talk to you.